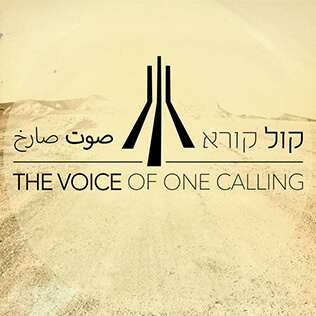 The Voice of One Calling is the joining of Hebrew and Arabic voices in unified worship and adoration, to prepare the way for the coming King. This collection of songs, compiled by Tal Bethany Rosenfeld, was inspired by the worship experience that happens every year in Israel at the ELAV conference. ELAV is a young adult worship conference hosted by the Succat Hallel 24/7 house of prayer in Jerusalem, Israel. It was recorded mostly in the Ben Hinnom Valley of Jerusalem, Israel. This place, known for pagan atrocities in Bible times, has today become a place of life and worship. Several years in the making, it is a labor of love that involves songwriters, worship leaders, musicians, and singers from all over Israel and the Middle East, and other countries as well.